The recipe below features the best of two worlds: classic ham-and-cheese sandwiches and pierogi. 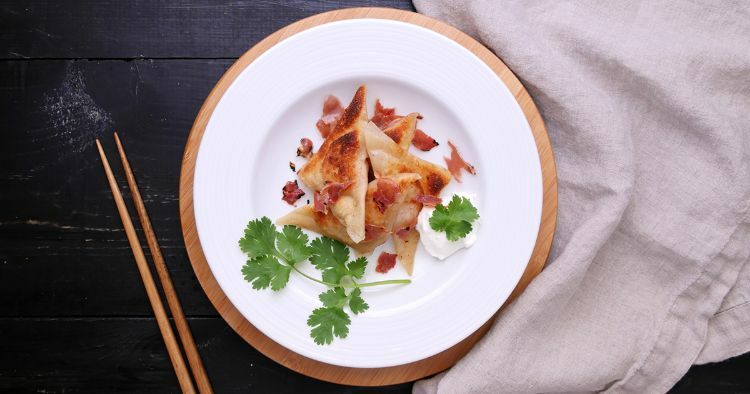 Usually stuffed with potatoes and cheese, pierogi get taken to a whole new level with diced ham in the filling – and in the sauce. And to top it all off, this recipe couldn't be easier to make. 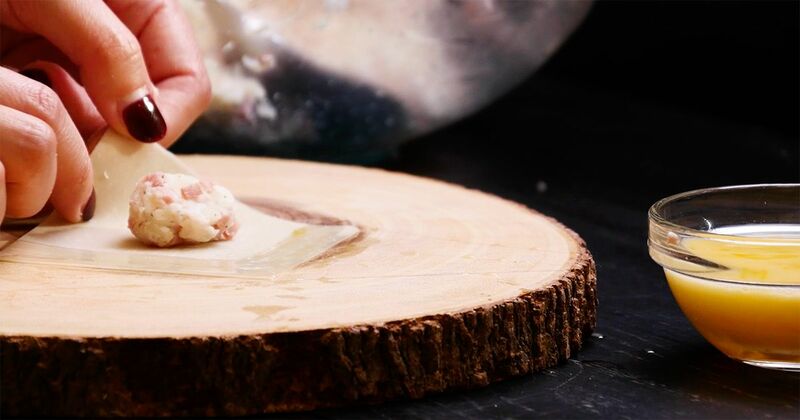 Many people prefer to prepare their own homemade pierogi dough, but in this recipe, store-bought wonton wrappers make the perfect stand-in. Thanks to the store-bought wrappers, this dish is easy to make for a delicious weeknight meal. Preheat the oven to 400 degrees Farenheit. Prick the potatoes all over with a fork, wrap in foil, and bake for 1 hour, until tender. Scoop the flesh from the potatoes into a bowl, and mash with the sour cream and butter until smooth. Mash in the cheese and ham. Season to taste with salt and pepper. Set aside until cool. When ready to assemble, beat the egg with the water. Mound about 2 teaspoons of filling onto a wonton wrapper and brush the edges with the egg wash. Fold the wonton wrapper over the filling and seal well. Set aside on a tray until ready to cook. Crisp the prosciutto by panfrying it with oil. Remove the prosciutto and crumble it. Set aside. Add the butter to the pan, and arrange the pierogi in an even layer (working in batches if needed). Cook for 3 to 4 minutes per side, until golden. Sprinkle the pierogi with the prosciutto crumbles, and serve with sour cream on the side.